The Advanced Social Media Course will transform you into an industry-ready social media marketer. It combines the disciplines of advanced social media, advanced content marketing and advanced web analytics course to help you elevate your brand and execute compelling social campaigns. Fast-track your marketing career with this complete, structured advanced social media course. Raise refund request within 7 days of commencement of the first batch you are eligible to attend. Money back guarantee is void if the participant has accessed more than 25% content of an e-learning course or has attended Online Classrooms for more than 1 day. The Advanced Social Media program is designed to build advanced skillsets in social media marketing by following a clear, structured, expert-recommended learning path. You’ll master the various facets of social media marketing—including social media strategy, online reputation management, influencer marketing, content marketing and web analytics, and you’ll acquire extensive project experience and the capability to manage and strategize social media marketing initiatives. The program gives you access to live, instructor-led online classes conducted by social media expert trainers. You will also get access to high-quality e-learning content, simulation exams, a community moderated by experts, mentoring sessions, and other resources to help you become a social media specialist. Once you complete the program, you will receive an Advanced Social Media certificate from Simplilearn, validating your ability to lead the social media efforts in your organization. Who should take this Advanced Social Media course? What are the social media marketing tools can I get hands-on exposure through this social media training course? As part of this course, you will gain insights into tools such as Facebook, Twitter, Instagram, Snapchat, LinkedIn and Pinterest. These are widely used tools with large number of users and also most popular for social media marketing purposes. What projects are included in this program? You will get hands-on experience about social media challenges, strategy building and creating a campaign message. You will have to build a sustainable social media strategy and establish business goals, which will serve as the foundation of your campaign. In this project, you will develop the ability to increase the effectiveness of campaigns by learning how and when to trigger additional boosts or efforts from other areas of converged media. You will learn about the role of converged media in social media, understanding paid, owned, and earned media, and putting converged media to work. You will learn how to use customer profiles or personas to determine which types of content to develop for upcoming social media campaigns. You will apply concepts such as role of content marketing, building a content plan, matching content to consumer intent and generating content ideas. You will learn how to generate a wide range of visual and video-based content ideas suited to a campaign or brand. You will also know about the impact of great visuals and leveraging images and videos in social media. You will learn about understanding the psychology of social sharing, building content and get insights around your current brand positioning and social conversation. You will brainstorm and outline a story narrative, that both defines your brand identity as well as pushing consumers toward a defined conversion point. You will learn about social media challenges, strategy-building guide and creating a campaign message. It also highlights the importance to establish a social media listening strategy that identifies potential reputation issues as well as potential amplification opportunities and to leverage that knowledge for further positive exposure of your brand. Helps you establish a clear and relevant consumer journey for your brand and to identify the ways in which you can best serve potential customers on each step of that journey. You will learn about the basics of social media measurement and social media specific metrics. How do I earn an Advanced Social Media certificate? Once you complete of the following requirements, you will be eligible to receive the advanced program certificate that will testify your acquisition of a social media marketer’s skillset. How do I become a Social Media Specialist? 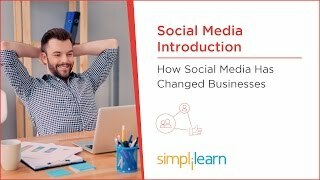 Not only do you learn the technical side of setting up social media, this course also teaches how social media relates to your business. The course format is very pleasant. A valuable coverage on the shift of communication trends from mass to social. Very concise, clear explanations, great place to start on learning social media. Social media marketing is a form of Internet marketing that utilizes social networking websites as a marketing tool. The goal of social media marketing is to produce content that users will share with their social network to help a company increase brand exposure and broaden customer reach. Why become a social media specialist? Social networking is among the most popular online activities. According to Statia.com, it is estimated that by 2019 there will be around 2.77 billion social media users around the globe, up from 2.46 billion in 2017. These users interact, share and engage with one another over social media. This presents a huge opportunity for brands to reach out to and engage with their target audiences. It is the social media marketer’s responsibility to plan and execute social media marketing campaigns to drive business goals – including customer engagement, brand advocacy or conversion – across various social media platforms. The increasing adoption of social media by individuals and organizations alike has led to a huge demand for qualified social media specialists. According to Indeed.com, there are 79,600+ job listings in the U.S. and 18,825+ job listings in the U.K. for social media professionals. In India, there are 27,000+ job listings on Naukri.com requiring social media professionals. The demand for qualified social media professionals only continues to rise. What course will be available for live instructor led online classes? You’ll develop a deep understanding of social media tools and techniques, content marketing best practices and web analytics tactics to transform you into a social media marketing expert. You get access to 25+ hours of live instructor-led online classes. The advantage of this is that you may come and revisit each and every course as you please. While you still get access to our batch session recordings you get the advantage of completing the entire course you to reach dream destination of becoming an all-rounder Social Media Specialist. How much salary can I expect once I become a certified social media professional? According to Indeed.com, social media professionals can earn above $14,000 and can reach up to $117,000. It depends on your experience and skill. Average salary would be around $50,000. Why do companies hire social media marketing professionals? Social media marketing efforts are essential to the success of most businesses today, regardless of their size. Most people nowadays rely on the Internet to discover new businesses and products that they are interested in. This is where a social media manager with a strong knowledge of marketing can come in handy. Online promotions, campaigns, and advertisements are essential ingredients for building brand awareness and atrracting not only new customers but also the targeted ones as well. How do I enroll for this advanced social media certificate program? Once the online payment is done, you will automatically receive a payment receipt and access information, via email. What can I expect from this advanced program? Where and how can I access the e-learning content? Once you register and pay for the course, you get 24x7 access to the e-learning content on our website. We will also send an automated course purchase confirmation mail, which will guide you through the process. If I am not able to access the social media online course, whom do I contact for a solution? You could raise a request on our Help & Support forum, or chat with us to get an instant solution. Do you provide a money-back guarantee? Yes. We provide a 7-day money-back guarantee for our master's programs. You can raise your requests on our Help & Support forum. Is exam fee included with this Advanced Social Media course? No, it isn’t. However, you will receive the advanced program certificate once you meet all the program requirements.